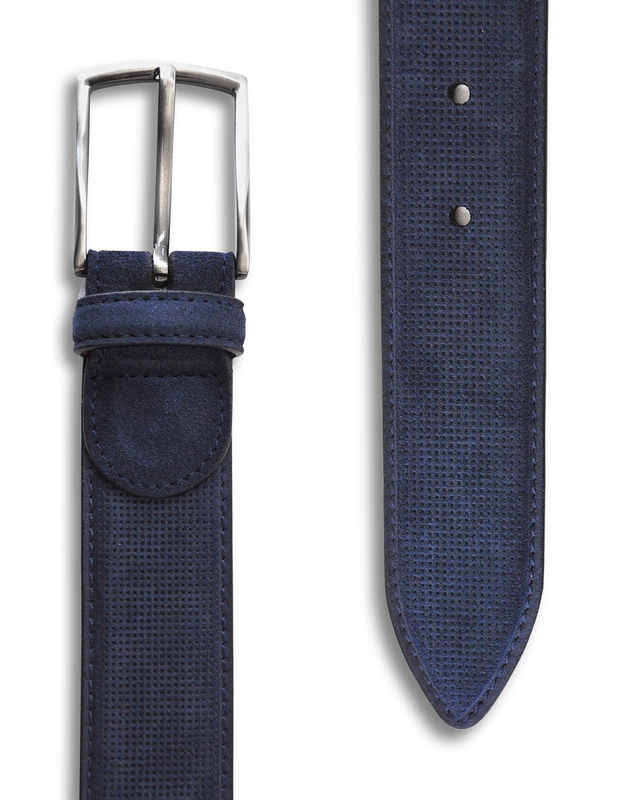 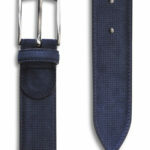 Micro-engraved suede belt in navy blue. 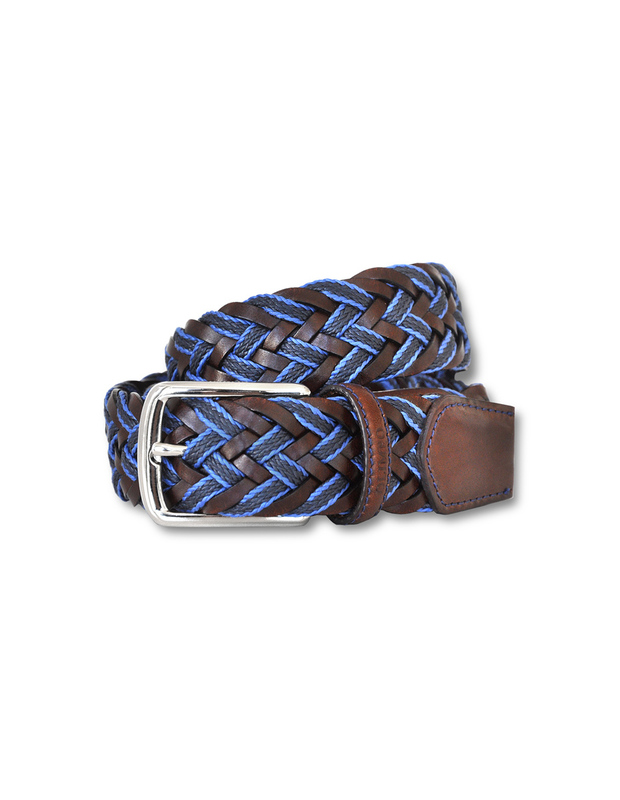 It deviates from the usual range of play-it-safe accessories, adding a touch of flair to an otherwise ho-hum look. 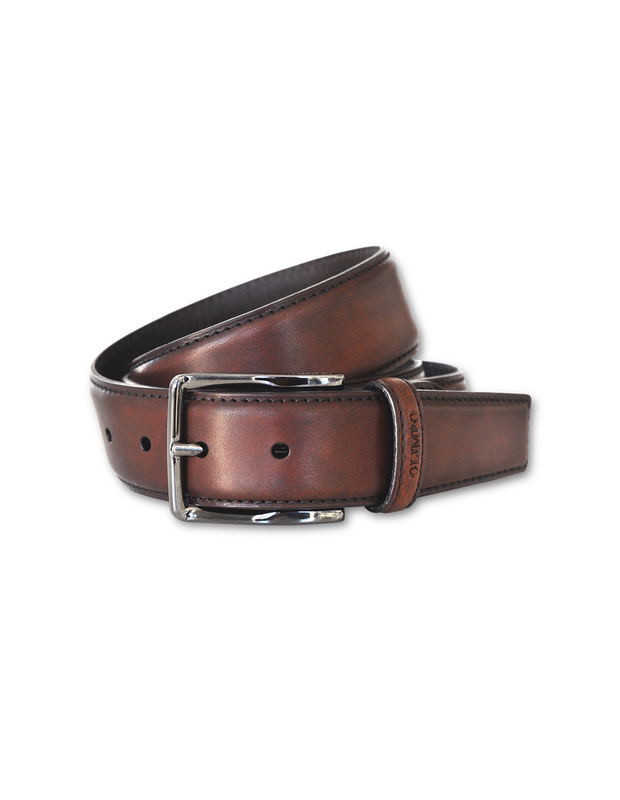 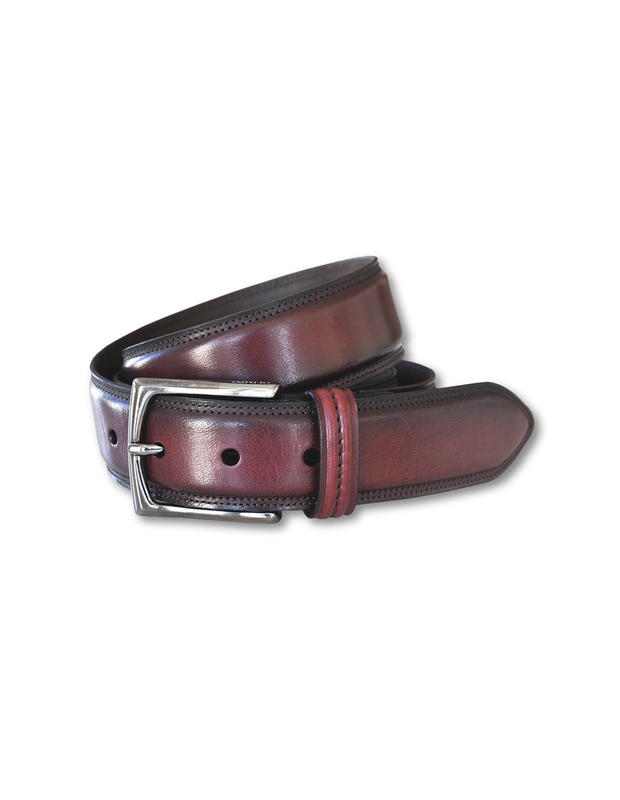 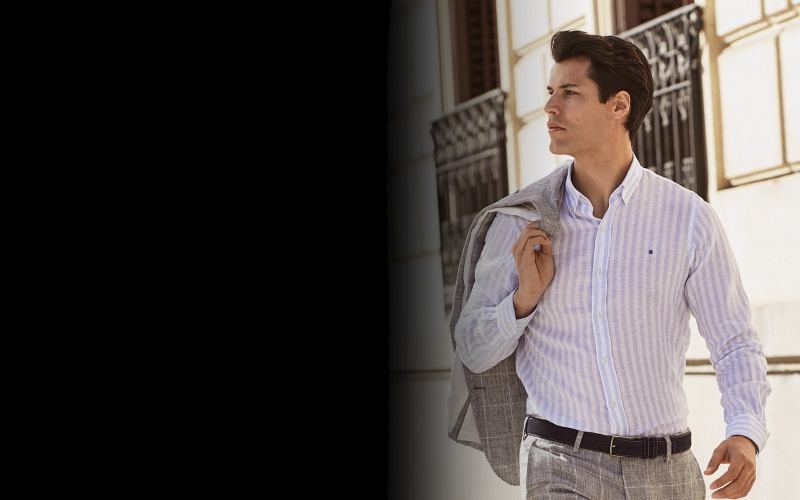 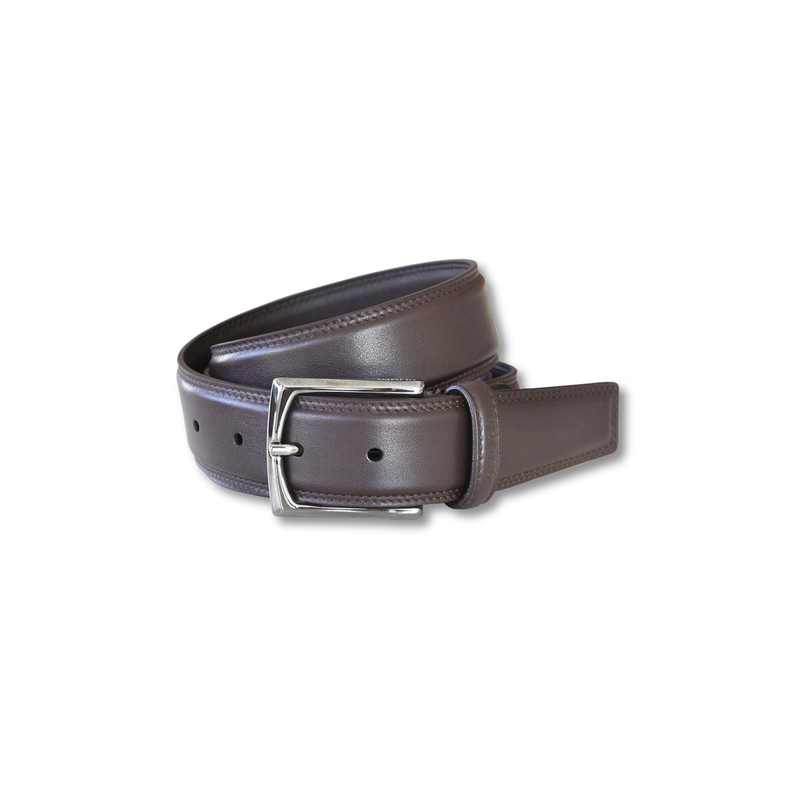 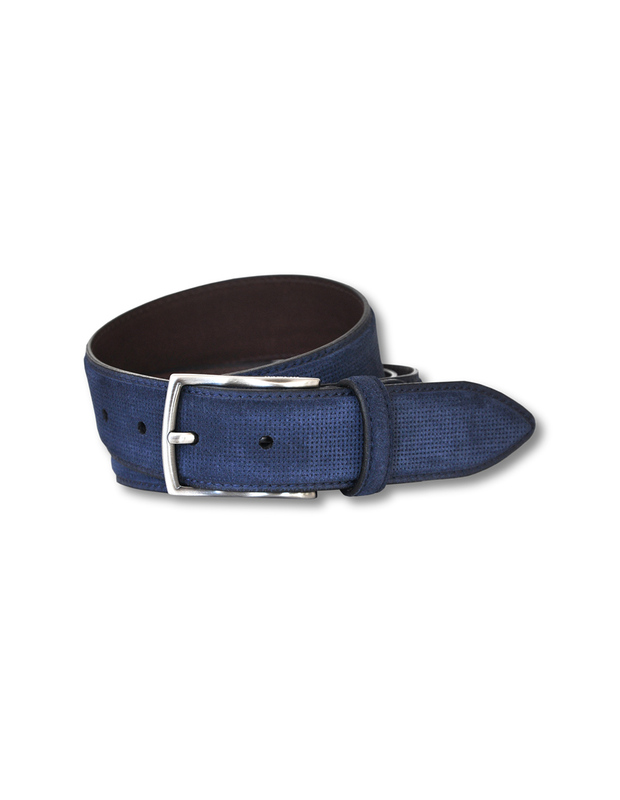 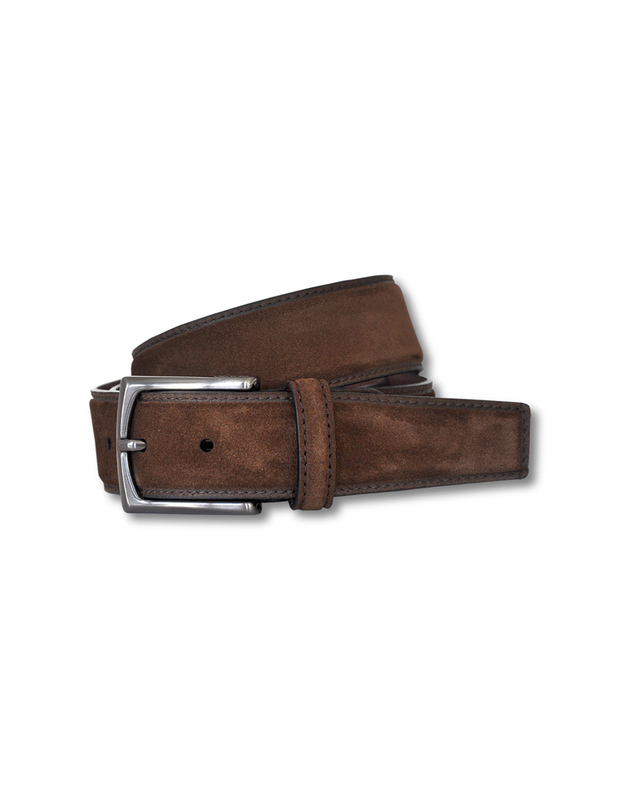 High quality, smooth-as-silk belt has a cool, urban look. 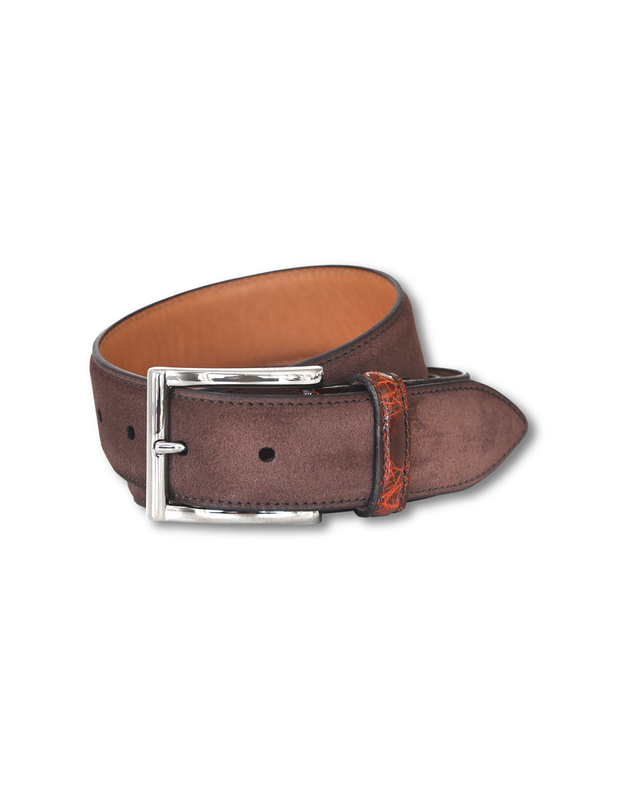 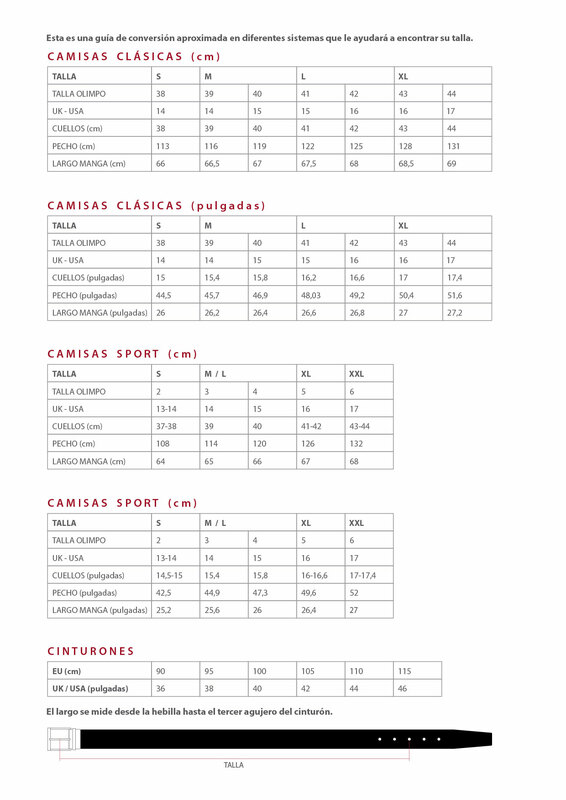 This micro-engraved belt is an exclusive OLIMPO design. 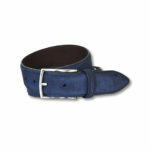 Black satin buckle completes the look.